02 Body Plus Conditioner - 8 oz. John Kaytaz has created a vitamin enriched, weight free formula infused with powder bonds to create maximum volume to be used following body plus shampoo. 04 Pure & Sensitive Conditioner - 8 oz. John Kaytaz has created a vitamin enriched formula that features the Amazonian anti-oxidant ACAI BERRY, and is extra extra sensitive to your hair and skin. 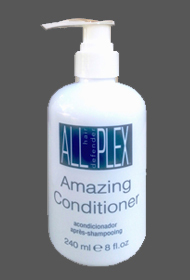 Ph Balanced to create an ultra-mild conditioner for daily use. No fragrance added. 06 Color Conscious Conditioner - 8 oz. John Kaytaz has created a vitamin enriched formula that replenishes moisture & shine to all types of color treated hair. Leaves hair feeling nourished & smooth while helping to prevent color from fading. 08 Bold & Light Conditioner - 8 oz. John Kaytaz created a dual purposed, protein rich formula that is light in weight while strengthening the hair from within. 10 Once a Week Conditioner - 8 oz. John Kaytaz has created a vitamin enriched formula that nourishes and reconstructs extremely stressed or damaged hair. Great for replenishing the moisture that is stripped away due to chlorine absorbed during swimming. It can also be used to maintain healthy, manageable hair and prevent future damage. 14 The Mask - 06 oz. John Kaytaz has created a vitamin enriched formula that includes several anti-oxidants including the Amazonian Acai Berry. The formula helps defend hair from free radicals which produce harmful oxidation, that can damage the hair shaft and accelerate the aging process. The JKS High ORAC Mask infuses hair with the protection it needs to be healthy and manageable while preventing future damage. 14 The Mask - 16 oz. 16 PH Balancer & Detangler - 8 oz. John Kaytaz has created a weightless formula that detangles, smooths and neutralizes minerals and chemicals found in tap water. Also a must have for beach and pool lovers right after swimming. 28 Hair Softner & Detangler - 8 oz. John Kaytaz has created a formula that invigorates the scalp while detangling and smoothing course, unmanageable hair. Can be used as a dry shampoo to revitalize 2nd day hair. JKS All hair defender Plex is based on a new and exclusive molecular technology composed of a blend of active molecules. JKS Amazing Conditioner is a perfectly formulated cleanser to assist in maintaining strong and healthy hair. JKS Keep Me Awake Conditioner: 3 exotic herbs and selective scents that will leave you totally relaxed and maybe infatuated. Also can be used as sensual shower creme. Intese nutrient enriched leave in formula for noticeably thinning or anticipated hair loss. Scalp Rehab Conditioner - 6 oz. John Kaytaz has created a vitamin enriched formula designed especially for fine or thinning hair. This scalp conditioning product uses NIACIN to restore vitality, BIOTIN to replenish nutrients for added strength. Ultimate spray-in conditioning shield to protect hair against harmful UV exposure.